We’ve heard that phrase a lot lately. It is the name of the program that gives federal financial awards to those states that make certain changes in their school systems. The goal is to improve the quality of education throughout our country. Hopefully, children will benefit from these changes. Will they? Will parents benefit? We don’t know the answer to those questions yet, but it sometimes seems that the name itself has had an impact. “Race to the top”; a race is a competition, and top means better than everyone else. But should children who are developing and learning really be in a competition? And can every one of them be at the top? Parents are under a lot of pressure these days to answer, “Yes”, and to make just that happen. It may be useful for States to compete in providing the best education. But the trickle down effect raises many questions. Children do not develop in the same way or at the same time. They can’t all be at the top – and certainly not at the same time. Yet getting the best education – whether in private or public schools – seems to be more and more dependent on a competition to be at the top. And parents feel responsible for getting them there. As parents we have a number of contradictory goals: we want our children to be individuals, to be like everyone else, and also to be better than anyone else. Starting with their youngest years we seem to have the idea that earlier is better. 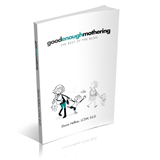 Mothers compare notes on whether children have given up the bottle, are toilet trained, are saying words, or have taken other developmental steps. They are proud when their children are first, and worry if they see differences from other children. Educators as well as parents, we all seem to have forgotten what we once knew about child development. There is a range in the ages at which children achieve developmental milestones. Perhaps even more significantly, there is a range of innate differences in personality, temperament, skills, talents and interests among children. This translates into differences in behavior, readiness for specific tasks, and mastery of skills, at points along the way. Unfortunately, the expectation is that everyone be in the same place at the same time. Of course earlier seems wonderful while later becomes worrisome. Yet both may be very much on course, and both may be true of the same child at different times regarding different skills. Although we think we value individuality, there are too many situations in which we don’t apply it. For example, mothers’ have often talked to me about their concerns in two areas of behavior in particular, even in very young children. One has to do with physical activity, the other with social ease. Some children have a greater need to use their bodies, to move around more, to explore. They may find it harder to sit still or stay focused on a teacher-centered activity. Too often this leads to thoughts of attention deficit or hyperactivity. The other worry is about children who may be less expressive or outgoing, particularly in social interactions, or in response to questions – from adults in particular. Mothers are concerned that children will not be able to show what they know, and may be disadvantaged for that, especially in educational settings. In these examples, as well as others, the worrying often has more to do with our own expectations and wishes than with any “problem” in our child. We sometimes have trouble seeing who our child really is because we have a different image in our minds of who our child should be, or who we want him or her to be. We also may be struggling with conflict between our respect for individuality and the feeling that our child should behave like everyone else. And sometimes that pressure may be coming from the world out there – teachers, grandparents, even other parents. It is because of these many pressures that the challenge for us as parents is to know, and stay in touch with who our child really is. We need to give recognition to strengths and support where help is needed, without trying to make our child into someone else. Sometimes we are not aware that our own ambitions and anxieties are often communicated to our children, who then interpret these feelings as a reflection of their own inadequacies or failures. Such feelings don’t inspire the very self-confidence we are hoping to give our children. Our children need us as their advocates. Let’s be those advocates without pressure to compete in the race to the top.